Focus on YOU! Focus on loving yourself. Do nice things for you. Go out and buy yourself flowers. Relax, take a bath, enjoy a good book, make the day about you. Make the day about your kids if you have them. 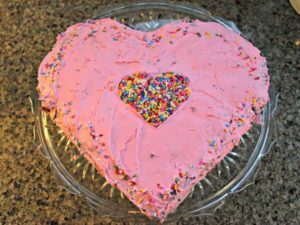 Buy a heart shape cake, decorate the house, do something fun. Make it a holiday about self-love and family love. Valentine’s Day is really just like any other holiday, it’s a day of the week with a title – Valentine’s Day. It’s all how we look at it and approach the day. So, if you are one of the people that hates Valentine’s Day, maybe this year you can take a new approach, try something different, and maybe you can find some joy from the day whether you choose to embrace the holiday or not.